Our hotel in Geneva, thanks to the special ITU rates. The open window in the tower room (on the fourth floor) marks our room. 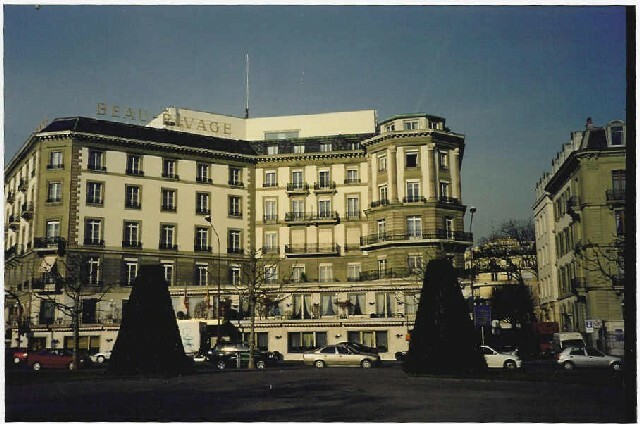 Another stay at Geneva was July 2005 for another meeting. The symbol fo Geneva is still attractive to all. The spectacular view made the effort worthwhile. Below the cathedral is an active archeological site. Can anything be more 'à propos' for Switzerland than cash cows? Double pun intended! 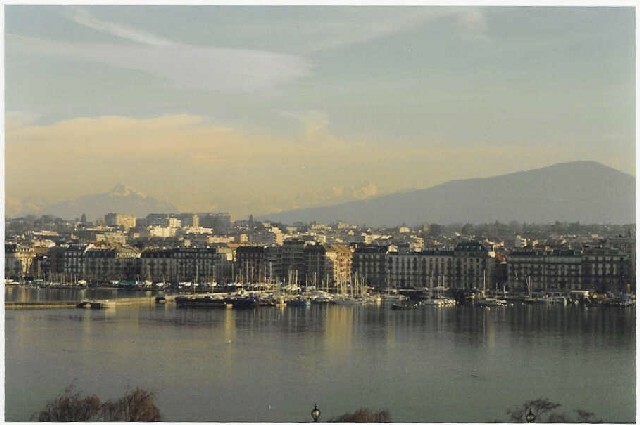 We managed to take some time off for short trips outside Geneva.